Sarah Yehudit’s friend, Judith Margolis, is a renowned and accomplished artist. 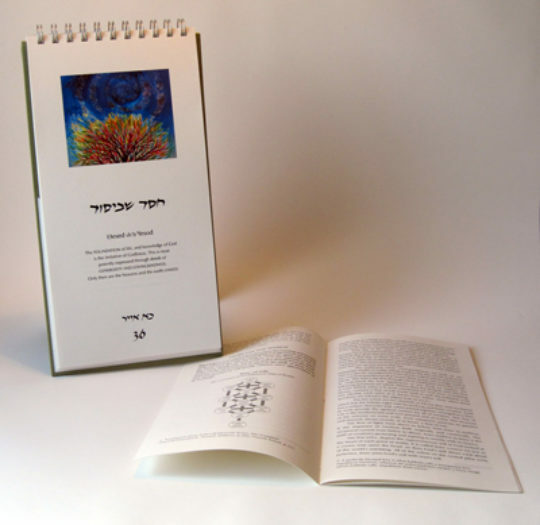 She created this beautiful Omer-Counter that combines Sarah Yehudit’s short meditations on the tikun of each day with her own visual interpretations of that attribute. The result is a spectacular work of art that also has a practical use. Here is available the spiral bound booklet, in full color (12 in x 6.5), that makes counting the omer a delight. One of the most important works of translation and presentation of Kabbala’s understanding of gender relations ever written. ‘Feminine rising’ is no less than the unfolding of the history of the universe and the process of the revelation of the Divine on earth. Making traditional esoteric texts available to the public, this book can be read by anyone, but preferably should be studied in depth. To preview the book, click here. To order more than 10 copies, please email us. 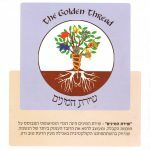 The Golden Thread is a homeopathicaly produced remedy based on Kabbalah. It is designed to heal the fractures of soul inherited from our collective partaking of the Tree of Knowledge. Based on the principle of “like cures like” if we knew what the Tree of Knowledge was we could design a remedy to work on that deep level of soul. In fact there are nine different opinions concerning the identity of that infamous tree. And, according to R. Isaac Luria, each one corresponds to a sefirah. And since each sefirah looks this way when it is overbalanced, and that way when it is underbalanced, that becomes our material medica. This booklet goes through each of these nine ingredients and maps out what its corresponding sefirah looks like when it is out of balance on the emotional, mental or spiritual planes. 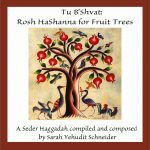 “…Humanity’s first sin, teaches Rav Tsadok HaKohen, was Adam and Eve’s eating without right intention.” A collection of profound and strikingly relevant teachings on eating, eating disorders, and how to bring healing and peace to the entire world. If you would like to order 10 or more copies, please email us for a discount. Evolutionary Creationism presents a model of how science and Kabbala, when brought into dialogue, can solve the deepest questions of the universe in the most satisfying ways.